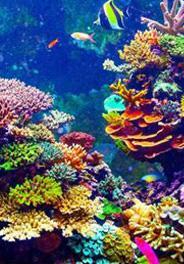 Coral reefs represent 0.2 % of the oceans, however it is inhabitated by 25% of all marine species. It constitutes a richness for Humankind, providing food, protection and natural beauty. But the images of colorful corals, full of life are getting rare. This documentary shows us the ways to protect them : from already implemented and successfull techniques to solutions being tested nowadays and promising ideas still at early stage. We meet the researchers behind these innovations who are racing the clock to save these unique ecosystems. Coral reefs represent 0.2 % of the oceans, however it is inhabitated by 25% of all marine species. It constitutes a richness for Humankind, providing food, protection and natural beauty. But the images of colorful corals, full of life are getting rare. This documentary shows us the ways to protect them : from already implemented and successfull techniques to solutions being tested nowadays and promising ideas still at early stage. We meet the researchers behind these innovations who are racing the clock to save these unique ecosystems.